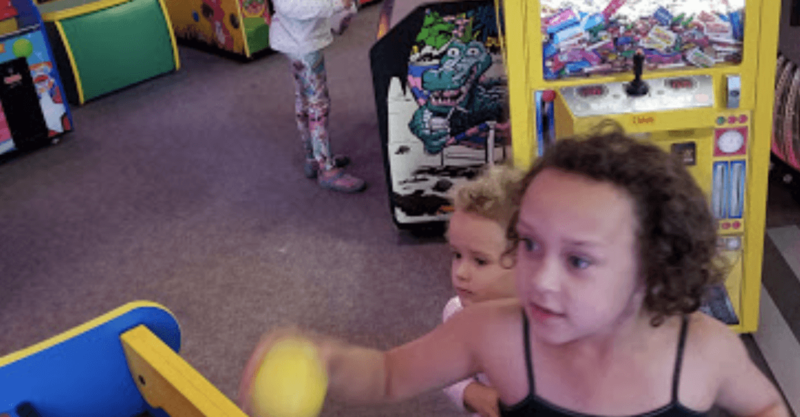 The perfect one-stop shop for kids and kids at heart, Ruckers Saskatoon offers all the latest and greatest family amusement games in two convenient locations. Favourite games like Deal or No Deal, Stinky Feet, Strike Zone, Wheel of Fortune, and Platinum Heights are great to test your gaming skills on. This indoor family amusement experience is entertaining every time you visit with new games added regularly. In our latest Fudds news we share details about some of our favourite Ruckers games. 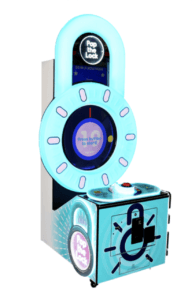 Pop the Lock is a fast-paced game where players attempt to hit randomly appearing yellow dots around the circumference of the playfield. Hit the yellow dot and another one pops up. Great hand-eye coordination will aid players to skillfully hit all 50 dots to Pop the Lock for the Bonus! A unique twist on a classic game! 2-players face off on a 55-inch monitor to collect as many tickets as they can. Hurry up, as the snakes get longer the more you go on. Running into the walls, or running into yourself will end your turn. Great look and massive presentation with a 65-inch screen! Explore the Sweet! and Tasty! world of Candy Crush Saga™ in this fun match-three style game. Switch and match your way through 15 levels in this Delicious! Solve the puzzle to win the super bonus. BRINGING THE EXTREMELY SUCCESSFUL MOBILE GAME TO THE ARCADE, CROSSY ROAD ARCADE IS A 2-PLAYER VIDEO GAME. Players must navigate their way across busy roads, train tracks, and over rivers to go as far as they possibly can. With each successful jump, players are awarded a ticket. Crossy Road utilizes a massive 65-inch monitor and is covered in flashing LEDs which makes it a real eye-catcher at Ruckers! Quik Drop by Bay Tek Games has already proven to be a winner at Ruckers thanks to its attention-grabbing cabinet and fast-paced, gameplay! With each credit, players are given balls to try and skillfully drop into the rotating buckets below. Push the drop button at just the right time to rapid fire all of the balls into the buckets. The more balls you catch the more tickets you win – it’s as easy as that! Catch all 50 balls to win the progressive jackpot bonus and walk away as the Big Quik Drop Winner! All you have to do is buy tokens, have fun playing games, then redeem your winning tickets on a selection of fun prizes! The Ruckers prizes change often too, so every trip to Ruckers Saskatoon’s two locations is different! If you are looking for a great birthday party venue – look no further, Kids LOVE RUCKERS! Check out our article about birthday parties at Ruckers by clicking below.